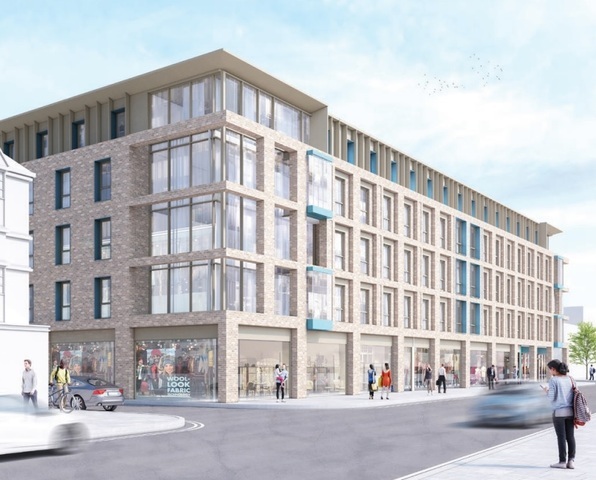 Planners have granted permission for 232 flats for students, with shops below, in London Road, Brighton. The proposed five-storey block will replace a 1970s building housing the Co-op and Boots and an empty snooker hall. 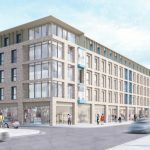 The old building will be demolished by Curlew Opportunities, a specialist developer of student properties, after Brighton and Hove City Council backed the scheme. At a meeting of the council’s Planning Committee this afternoon (Wednesday 20 March) Conservative councillor Carol Theobald asked where the students were from and which university they would attend. The developer’s planning consultant, Simon Bareham, from Lewis and Co, said that the neighbouring King’s College independent college was in talks with Curlew and “wants to populate the site”. 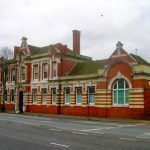 Councillor Theobald said: “This used to be a nice building when it was Bellmans and I used to work in the accounts department. “It is identified for 20 housing units and we get 232 students flats which is a lot. She abstained from voting and said that she would rather have university students taking up the rooms. Mr Bareham told the committee that the college had started as a language school and had many international students studying for British qualifications. Green councillor Phélim Mac Cafferty raised concerns about children living in the building but was assured that there would be no under 18s and it would be managed. The new building would house 232 student rooms above shops and there would no longer be a canopy at the front. Brighton and Hove Conservation Advisory Group (CAG) joint chairman Roger Amerena asked for original Brighton character street signs which were agreed as a condition of planning consent. Conservative councillor Joe Miller told the Planning Committee meeting at Hove Town Hall: “It is a good use of the site on top of the Co-op. Labour councillor Julie Cattell, who chairs the Planning Committee, said: “It is a really good building and it is going to make such an impact. As a condition of its planning permission, Curlew will be expected to pay “developer’s contributions” totalling £328,000. The total would be made up of £233,000 towards open spaces and recreation, £72,000 towards public art and £23,000 for economic development. As well as the street signs, there was also a request for trees in Providence Place. Eleven councillors voted in favour of the development, none were against and Councillor Theobald abstained.